‘Rocambole’ Onions (Allium cepa 'Rocambole'): growing, planting, caring. French heirloom of Rocambole perennial onions. A wild - thus easy to grow - onion. 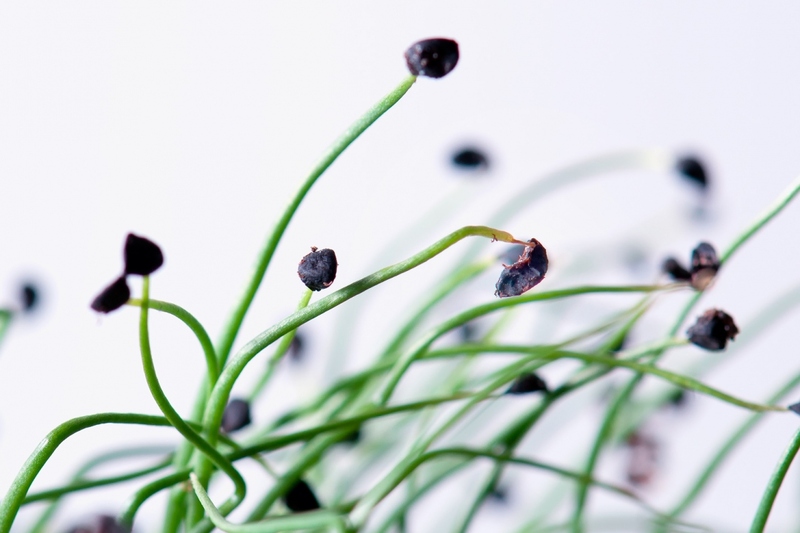 An onion plant, with its whole leaves erect and ribboned, but with stems on top of which sit little onions? That's the perennial onion! You onions won't be able to grow if they are too close together! Two months before the sowing, thin out the young plants so that there is only one every 10 cm in the row. Onions sowed in August are transplanted in September, but you can also directly plant onion bulbs bought in a store. In this case, plant them at the beginning of spring. 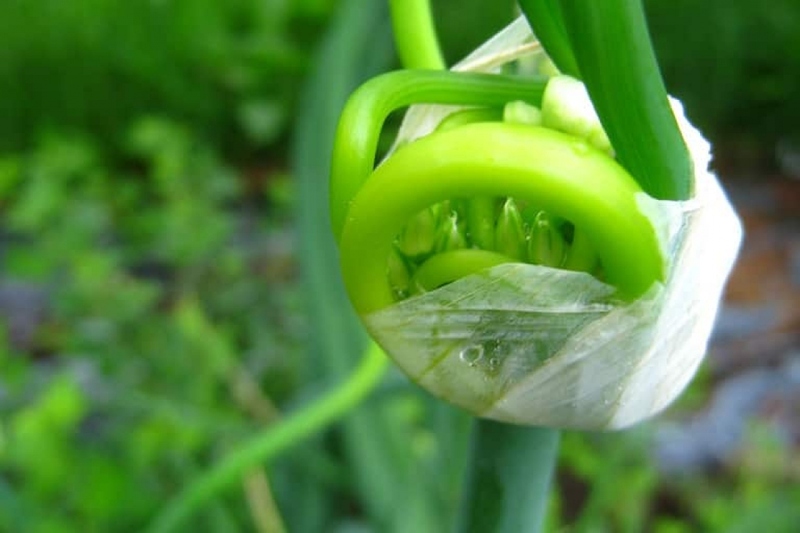 Cultivate the onions in well drained light soft soil without fresh manure which makes preservation difficult. Plant them 10 cm apart in rows separated by 20 cm. Form a 5 to 10 cm high mound, which will protect the onion from excess moisture if it rains frequently. Plant each bulb by hand, roots towards the ground and the pointed side upward. The onion's top must be about 1 cm underground. The simplest is to put the onion between your fingers and sink your fingers into the soil; avoid digging a hole with a dibber or other tool: the onion won't necessarily be in the right direction, and its roots won't be in the soil! Water once to seal the soil. Harvest from July to September, Don't pull the bulbs - which are rather strong - but rather the bulbils. Perennial onions are eaten mostly in salads like shallots. After 5 years you have to renew your perennial onions. Rip them and plant new ones. When the leaves begin to dry out, it's time to harvest your onions. Drying them is important, to prevent your onions from rotting. To harvest, pull at the base of the leaves to remove the bulb from the ground. Clean them roughly from the earth that covers them, then let them dry, either in the sun, or dry for several days in a shelter if rain is announced.